One of the nicest Country Clubs in Palm Beach Gardens, Frenchman's Reserve. 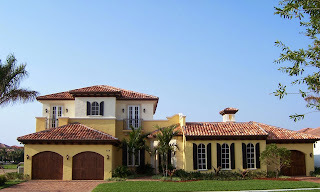 Frenchman's Reserve is an amazing Toll Brothers designed country club community located in Palm Beach Gardens. Frenchman's Reserve homes include Toll Brothers; The Signature Collection and The Heritage Collection. Bloomfield Construction is building custom homes called the (Aristocrat Collection). There are 392 single family homes in Frenchman's Reserve. Just outside the gates of Frenchman's Reserve is a small gated coach home section of Frenchman's Reserve which offers town home style homes. There are 56 of these coach homes known as Chambord. Each street of Frenchman's Reserve is it's own neighborhood, and the center of the community is The Grande Clubhouse. The streets in Frenchman's Reserve include: Savoie, Les Jardin, Abondance, Hermitage, Le Bouchet, Avignon and Cote Azure. Just some of Frenchman's Reserves amenities include, a fitness center, spa, restaurants, and tennis courts. Frenchman's Reserve is one of the few country club communities that offers guest suites for owners guests. Frenchman's Reserve offers a 45,000 square foot clubhouse which offers a library, card rooms, locker rooms, and dining room. Frenchman's Reserve offers a beautiful Arnold Palmer designed golf course as well as practice range. Frenchman's Reserve offers a kids corner with on site child care as well as a resort size swimming pool . There are 6 clay tennis courts and tennis pro shop. Frenchman's Reserve HOA dues include common area maintenance, landscaping, security, basic cable, and other common community fees. As of 12/27/2013 The Golf Equity fee for Frenchman's Reserve is $102,000 which is 100% refundable when you sell. (As long as buyer buys golf membership) The annual dues for the golf membership are $13,966 plus tax. The social equity at Frenchman's Reserve is $45,000 (totally refundable) and annual dues are $5,353 plus tax.